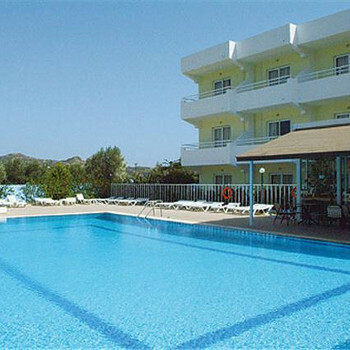 The Evita Studios are set in a quiet location, ideal for peaceful days lazing by the pool. The lively resort centre of Faliraki is a 20 minute walk away down hill. We booked a package holiday with EasyJet Holidays ten months previously. On the day of departure, shortly before boarding the flight they emailed to advise of hotel change! New hotel had none of the features we asked for, and was allocated a regular hotel room when we had booked a two bedroom room. Have messaged Easyjet and they have insulted us with their measly offer. It turns out that Easyjet Holidays are not registered with ABTA and so our only option is to take it to the small claims court. maid changed sheets once a week,cleaned floor and emptied bins every 3/4 days.Couple run studios she was great help,he not so good.Location 15 mins from faliraki centre,20 mins to beach.Choice of two supermarkets 10 mins down the road towards faliraki.Good pool,plenty of room around pool and many sunbeds.